Abandoned Homeland, by Jeff Gundy. Huron, Ohio: Bottom Dog Press, 2015. 92 pages. $16, paper. “How else to describe this absurd, lovely world?” is the question Jeff Gundy poses in the titular poem of his seventh book of poetry, Abandoned Homeland. every second, hurrying onward as if not changed at all. One Blackbird at a Time by Wendy Barker. Kansas City: BkMk Press, 2015. 78 pages. $13.95, paper. 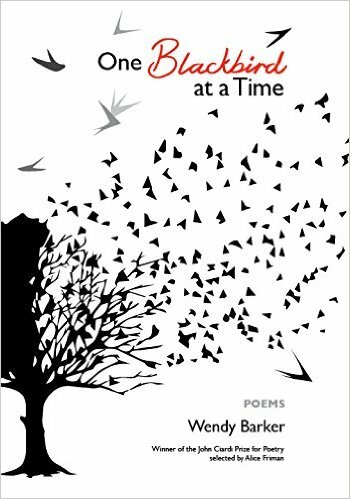 In this collection, Wendy Barker takes us on a journey through eyes of a teacher, exploring all the complexities of what it means to simultaneously be a poet, educator, woman, and bibliophile. 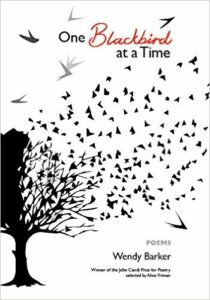 Each poem presents a speaker who filters her world through the work of Emily Dickinson, Elizabeth Bishop, William Carlos Williams, Robert Frost, and many, many more. The literary worlds of the page and of the past imprint on the speaker’s world of today, not just in the classroom but also in the seemingly mundane tasks of everyday life. vaster, catch us off guard. And quicken. This collection is not simply about teaching literature: it is about living literature. The words come from the lives we live, and as we live it is the words that keep coming back to us. Every poem in Barker’s collection exemplifies the inherent connectivity and the art of all the loves and losses that arise. One Blackbird at a Time is a map of influence, a capsule of memories, a personal canon, and love letter. You would be remiss not to take the tour. Space Traveler by Benjamin S. Grossberg. Tampa: University of Tampa Press, 2014. 130 pages. $14, paper. 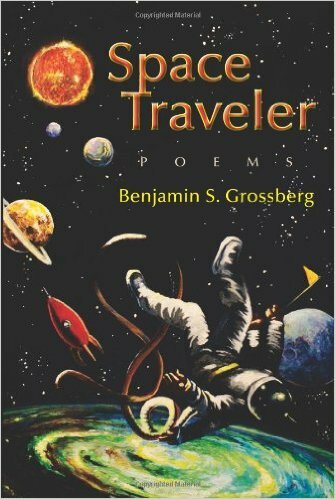 Space Traveler, Benjamin S. Grossberg’s third full-length poetry collection, revolves around the journey of the stoic and perceptive Space Traveler. 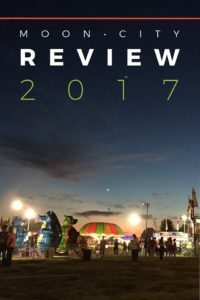 The book is split into six sections, each poem a tightly compacted rocket ship filled with the delightful energy of the speaker’s articulate psyche; each poem fires up quickly and takes off with clever precision. Space Traveler is a knockout for Grossberg, who has busted out of his shell into a mature, outgoing poet-thinker. His previous two collections represented a poet very much entrenched in the Earth: water, soil, vegetation, but also mindfulness; he courageously put himself into his work through philosophical and classical dilemmas of the mind, heart-wrenching frustration of sexual and familial relationships, and even humor. 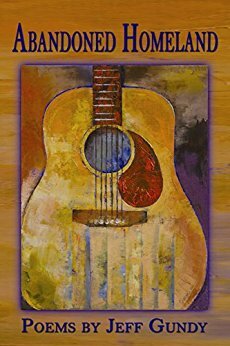 In this collection, Grossberg reworks those strengths into poems that execute skillful ironic tension: a speaker who is estranged from the human world but turns out to be intensely human himself. Grossberg plays with a new kind of ecosystem that is both abstract and concrete, and he pulls it off wonderfully. This passage excels in conversation, music and precise image. The engaging banter in the first two lines works stunningly, but the phrase “damn near” is achingly perfect. Conversational tone is everything here, employed ironically to talk about the environmental destruction of a planet. Further down, the Space Traveler elaborates: “You do your best to halt the black / hemorrhage, pinching your side / between thumb and forefinger. 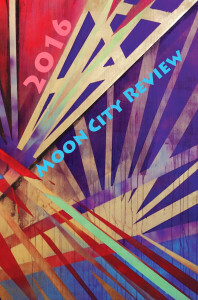 Good luck.” Again, the tone is spot-on, well timed, and humorous, as it is all throughout Space Traveler. space. It didn’t ding for years. The Space Traveler cannot dissect this new system; he spends the rest of the book attempting to articulate that challenge through an endless series of perspectives. fruity drinks through long straws. shavings sticky with peach juice. One of Grossberg’s strengths as a poet is his willingness to acknowledge and inhabit emotional and physical vulnerability. In this passage, other travelers are included in this conversation, turning vulnerability into a universal feeling. the mount, to ride the swelling fire. The language is sexually charged and maverick-like, but ultimately, empowerment is the dream: life as an uninhibited journey full of imagination, courage, and adventure. Space Traveler is an impressive breakthrough collection for Benjamin S. Grossberg. He trusts his natural voice, and he exhibits just the right combination of wit, intellectual depth and emotional complexity to keep the reader entertained and engaged. 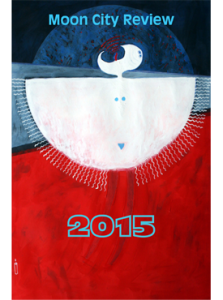 Good luck to these authors and congratulations to them and all of the writers who had work in our 2015 edition! 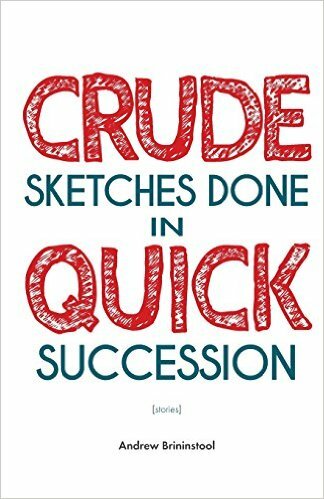 Crude Sketches Done in Quick Succession by Andrew Brininstool. Plano, TX: Queen’s Ferry Press, 2015. 164 pages. $16.95, paper. Andrew Brininistool’s debut story collection depicts the dysfunctional lives of multiple protagonists. All characters, primary and secondary, are forced to face skeletons from their past, present, and future. No character is safe from the cruel injustices of reality, and what follows is an immense amount of suffering and isolation. 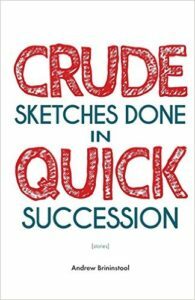 Crude Sketches Done in Quick Succession has nine short pieces that portray central themes such as lost opportunities, lack of fulfillment, and disappointment. In his fourth piece, “Young Arsonists in Love,” the overall concept of the collection is illustrated in one line, which states, “Life doesn’t unfurl its graces to each of us in complete tidy bundles.” In this story, the protagonist is a successful, retired businessman who made his fortune developing a potty-training device called Daily Constitutionals. This invention consists of a potty-training seat with a six-inch LCD flat-screen monitor that asks children a series of multiple choice questions about the U.S. Constitution. The development of this device helps the protagonist obtain the American dream, including a trophy wife, vacations, and cars. But his artificial happiness is short lived. As for the majority of characters within this collection, alcohol creates a divide between the couple and ultimately leaves him surrounded by empty whiskey bottles in an empty house. In the second story of the collection, titled “Stick Figures,” the protagonist is mentally and physically forced to battle his demons. At the beginning of this piece, the protagonist and his naive roommate Cody are roughed up by a couple of guys at a local bar. The reader comes to find out that this is a weekly occurrence for both characters due to Cody’s recent concept of “rebirth.” Cody has recently discovered that being a devoted to the Mormon Church is not what part of God’s divine plan. Rather, indulging in sin is a Godsend, whether that be sleeping with girls or tripping on LSD. The protagonist is Cody’s guide into the underworld. For Cody to become a holy man once more, he must fall before he can rise from the ashes. The protagonist’s chief purpose is to catch Cody when he falls. This dynamic adds tension to the relationship between the protagonist and Cody, the protagonist and his ex-wife, and the protagonist and his daughter. As the narrative continues, the narrator must confront his role within each relationship and determine whether his role plays a significant part in God’s plan. 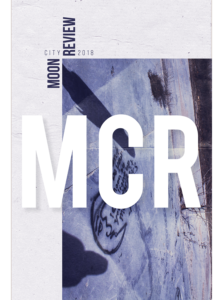 This collection is true to its title; it is a fast-paced collection focused on the failure to attain the American dream. Whether the story is about a son trying to collect his dead father’s trophies after his mother sells them out of grief, or a young Miss Oklahoma running from the Oklahoma Commission for Beautification and Image Promotion, participants in Brininstool’s collection never achieve happiness. Rather, they remain isolated characters who reflect on what could have been.